I make elegant yet playful statement jewellery for design conscious people. Statement jewellery doesn’t have to be full on bling, it can also be tactile and colourful. Proportion, balance and composition can be as effective as glinting stones for those who want to make a quiet statement. I think jewellery should be worn every day with confidence but also ease, so above all my designs are comfortable and versatile. As easy to wear to the park as the party. Kate Trouw Jewellery is currently stocked at Tate Modern, the V&A and the new Hayward Gallery shop, as well as various independent retailers and boutiques. For a list of stockists click here. 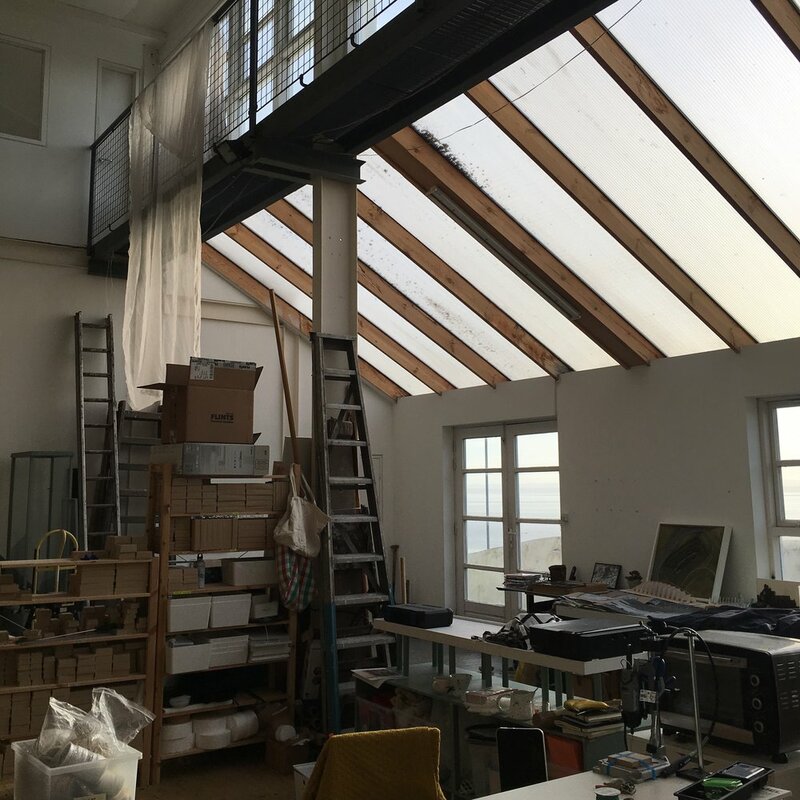 I work in a Sea Loft Studio in Fife, Scotland. It's a beautiful converted Art Deco cinema which sits on top of a cliff looking over the Firth of Forth and out to the North Sea. I try to swim in the sea everyday that I'm at the studio, just so long as the sea temperature is above 10°C! I welcome studio visits, just drop me a line if you'd like to come for a cup of tea.